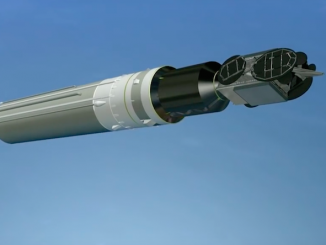 An electrical problem on one of the Ariane 5 rocket’s two solid rocket boosters led to an on-pad launch abort Tuesday, likely delaying liftoff with two U.S.-built communications satellites until around the end of September, Arianespace officials said. 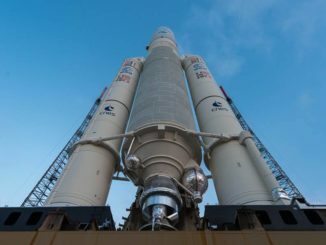 An Ariane 5 countdown in French Guiana was aborted Tuesday with the European-made rocket’s main engine already running, postponing the launch of two commercial communications satellites until engineers can resolve the problem. 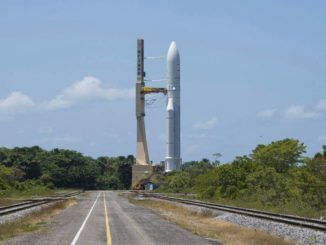 These photos show Monday’s rollout of an Ariane 5 rocket on a 1.7-mile journey to its launch pad at the Guiana Space Center in South America. 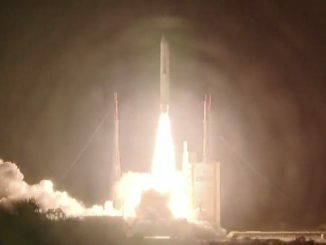 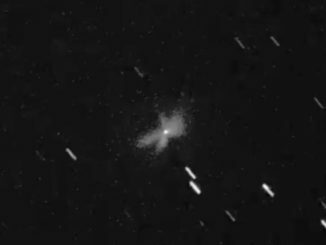 An Ariane 5 rocket will fire into the sky from French Guiana just after sunset Tuesday and deliver two payloads to orbit for Intelsat, one of the world’s largest commercial satellite operators, and Broadcasting Satellite System Corp. of Japan. 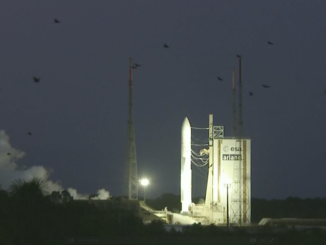 The launch of a European Ariane 5 rocket was aborted moments after its main engine ignited Tuesday. 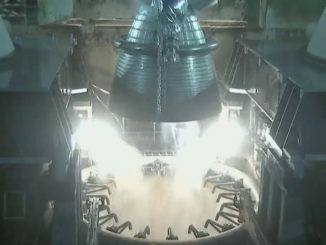 The dramatic last-second hold was the first time an Ariane rocket launch was aborted after engine start since March 2011. 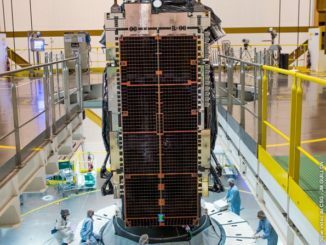 Arianespace has not set a new target launch date for the mission, which will loft two U.S.-built communications satellites for Intelsat and B-SAT. 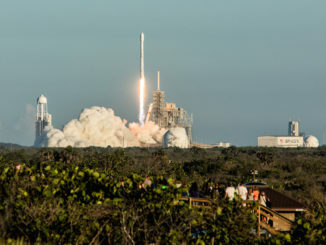 Look back on last week’s liftoff of a SpaceX Falcon 9 rocket from pad 39A at NASA’s Kennedy Space Center, capping a busy two weeks for the launch company with a successful satellite deployment flight for Intelsat.